Heat oven to 350° F. Spray 13 x 9-inch (3-quart) glass baking dish with cooking spray. 61% less sat fat • 50% less fat • 25% more calcium than the original recipe. Wrap yourself in luscious flavor. 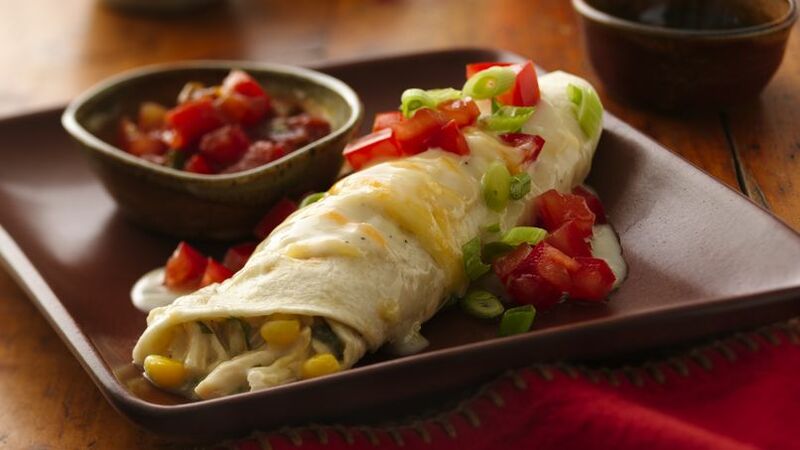 Reduced-fat ingredients helped cut the fat in half, while adding corn and green chiles boosted the Tex-Mex flavor.